Marketing research comprises one of the most important and fascinating facets of marketing. 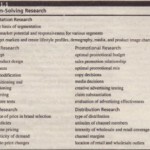 In this chapter, we give a formal definition of marketing research and classify marketing research into two areas: problem identification and problem-solving research. 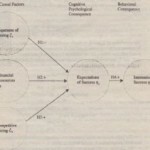 We provide several real-life examples to Illustrate the basic concepts of marketing research. We describe the marketing research process and the six steps that are involved in conducting research and discuss the nature of marketing research, emphasizing its role of providing Information for marketing decision making. Next, we provide an overview of marketing research suppliers who collectively constitute the marketing research industry, along with guidelines for selecting a supplier. 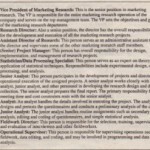 The demand for well-executed marketing research leads to many exciting career opportunities, which we describe. We show that marketing research is also an integral part of marketing information systems or decision support systems. Boeing recently entrusted Harris Interactive with a study of this type. • More than 60 percent preferred a single-deck. 250-passenger airplane to a double-deck, 550-passenger airplane for nonstop flights. • Seven out of 10 travelers preferred a nonstop trip on a single-deck. 250-passenger airplane to a trip involving a connecting flight on a double-deck. 550-passenger airplane with an on-board lounge. Many of the nation’s largest corporations are realizing that the information they can get from clients and customers through marketing research can best be used if it is provided each day. How about each minute? This is the basis upon which a company called company. operates-real time. The Satrnetrix Customer Relationship program is designed to maximize the impact of customer interactions by continuously gathering and transforming customer dialogues into potential actions that can be taken to increase sales and customer satisfaction. This program is focused on feeding the voice of the customers back into the organization. Not only can customers go online and submit complaints and suggestions to the company, but Satmetrix also hosts live chat sessions for users of certain products. All of this is done with the aim of capturing the true words and emotions of consumers. and in turn using this information to improve or develop products and services. Satrnetrix capitalizes on the need for “live” marketing research.